Your body does a lot of work for you. It shapes itself to keep all your organs, bones, and muscles healthy, it keeps you moving for as fast and as long as you can, and it can take a boost every now and then to make sure you’re overcoming all those final hurdles. Your body loves you, and hopefully, you love it in return! But that doesn’t mean it never gets into trouble which is why you need to strengthen your immune system. The winter is a time where viruses and bacteria tend to thrive – there’s a lot of reasons for this. Spending more time indoors with stale air and sneeze droplets everywhere, as well as the cold boosting the strength of some germs in the air – and you’re going to need to prepare your body for the onslaught the cold weather is sending your way. So to better make sure you’re taking this winter air seriously, and you’re preparing in the best ways possible, here are a few of the best ways you can strengthen your immune system. Breakfast is always called the most important meal of the day. There’s plenty of benefits a hearty and healthy meal in the morning can do for you. You’re going to need to dedicate some proper time and effort to it for the upcoming season to strengthen your immune system. Breakfast is what prepares you for the rest of the day, seeing as its one sole purpose is to break the fast you’ve kept up for the last 12 hours or so. Your body needs fuel to keep going, and eating first thing in the morning is the diesel for your engine. Breakfast in the winter is going to look a lot different to your breakfast in the summer, seeing as you’re going to be needing to feast on a few more carbohydrates, fats, and proteins that you would at the rest of the year. You want to be putting a good layer of muscle and fat on your body, to help keep you warm and sustained during weather that’s wearing you down bit by bit, so get to grips with some new recipes. You can look up a whole list of some good ones right here, or you can experiment on your own. After all, quite a few people can feel quite sick at the idea of eating first thing in the morning, so you might want to go a bit lighter than others in your quest to eat properly for the winter. Adding zinc to your diet is a great way to strengthen your immune system. It’s even been scientifically proven to help break the effects colds and flu have on us, as long as some zinc supplements or zinc-rich foods have been consumed within the first 24 hours or so of showing sick symptoms. And if you take some zinc every day you have your cold, it might just shorten the duration of your illness by a couple of days or so! Doesn’t that sound just magical? Don’t worry, it’s not. Zinc is a very important substance to the body, seeing as it binds to every type of cell within your system and helps them to open up and stay healthy. Not only that, but it helps your skin and muscles to repair themselves faster; if you’ve got a cut, or you think you’ve torn into your biceps a bit recently, you’re going to want to chow down on foods filled with this mineral. So if you’re feeling a bit down an out this winter, you’re going to want to head to the supermarket with zinc-rich foods in mind. And what do these include? Red meat is the best source you could come across, but foods such as chickpeas, green beans, and lentils are packed with the stuff as well. You could make a lovely roast with just these two types of ingredients alone! Just be careful not to overdo your zinc recipes, as it can quickly lead to a shortage of iron in your body if you consume too much per day. Sure, we want to eat tasty and nutritious foods filled to the brim with vitamins more than we want to simply pop a pill of them every day. But vitamin supplements and lozenges also work wonders for the body. Seeing as the winter weather, and the lack of sun, helps to drain our energy faster than usual, it might just be the best way for you to stay on top of your health. If you fancy getting your hands on some vitamin tubs, you can always head out to your local pharmacy and buy from across the counter. But if you don’t want to leave your cozy armchair right now, you can simply read more about what kinds of vitamins you’ll need right there. Do You Consume Any Probiotics? Your gut is a huge part of your body. You’re going to want to take care of it for the foreseeable future. Your digestive tract can be a breeding ground for all kinds of bacteria, both good and bad. You never want the bad to outweigh the good. Make sure you’re buying yogurt items that are described as having live cultures inside them. You need the live probiotics to help balance your system out. So you’re going to need some more probiotics in your diet, especially if you don’t eat a lot of dairy. Even if you’re intolerant, items such as coconut milk or kimchi are going to work wonders for you here. 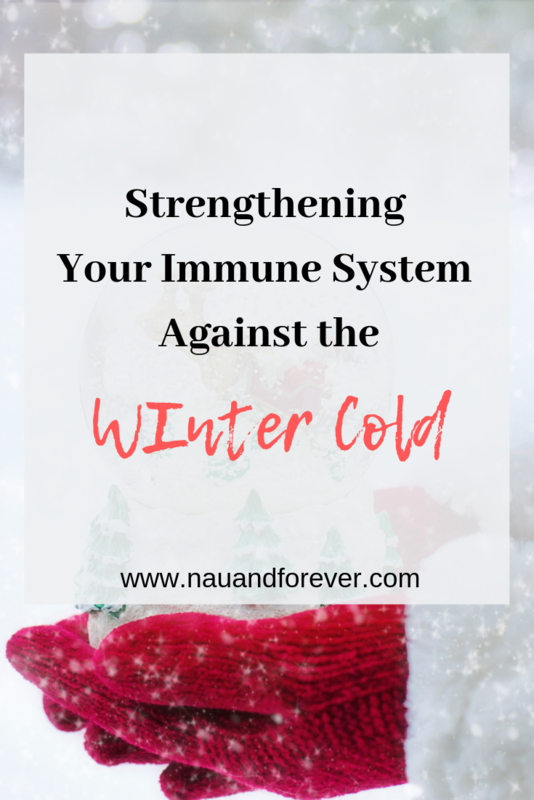 Ready to Strengthen Your Immune System? It’s so important to strengthen your immune system. Staying healthy overall will help you ward off the winter bugs. Want more tips on living a healthy lifestyle? Check out this post!